Are you looking for inspiration for your children’s bedroom? What if your child’s room could be colourful, creative and of course cool…but also be educational too? 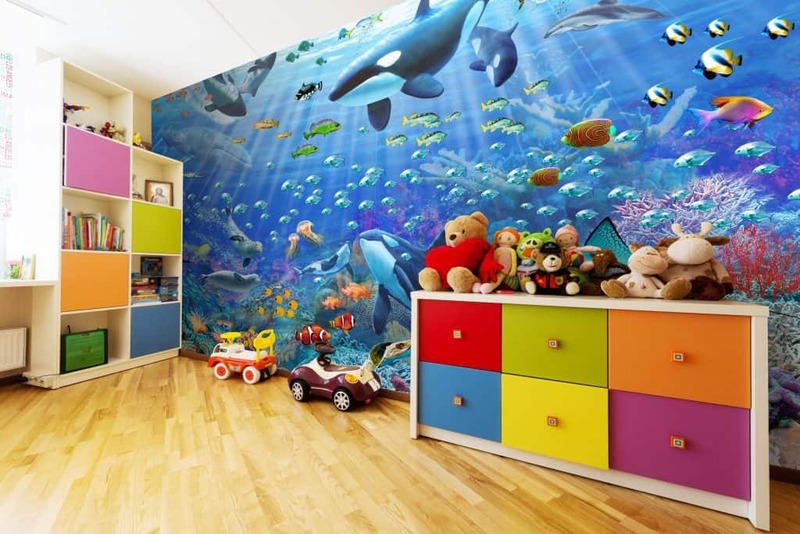 It sounds like a massive ask but actually by using children’s wall murals to transform their room not only can it be done but it can also be easy and cost effective too! Today I’m sharing five wonderful children’s wall murals from Wall Sauce to teach them about the world. A world map is not only a great way of teaching a child where they live, but also about the whole world too! My daughter has recently become really interested in world maps, and all the different countries and where in the world they are. 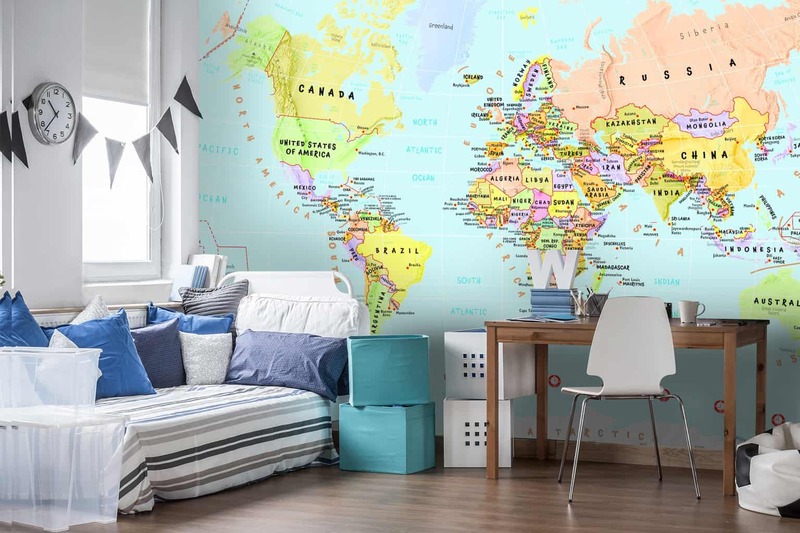 A world map mural is the perfect way to teach children about geography and get them excited about the amazing world we live in! I’m yet to meet a child that isn’t obsessed with dinosaurs, and a dinosaur mural can really help build on that curiosity and passion for dinosaur discovery. This dinosaur mural is the perfect way of bringing the mystery of dinosaurs into their own space, and also fuel their imaginations about what the world in the time of dinosaurs might have looked like. The seas are another amazingly mysterious area of learning for children and this underwater scenery wall mural is the perfect way of bringing the world of the deep and all that they can learn from it to your littles, including knowledge about ocean zones and the type of sea life you might find in them. Outer space is one crazy thing to get your mind around as a child (as well as adults!). 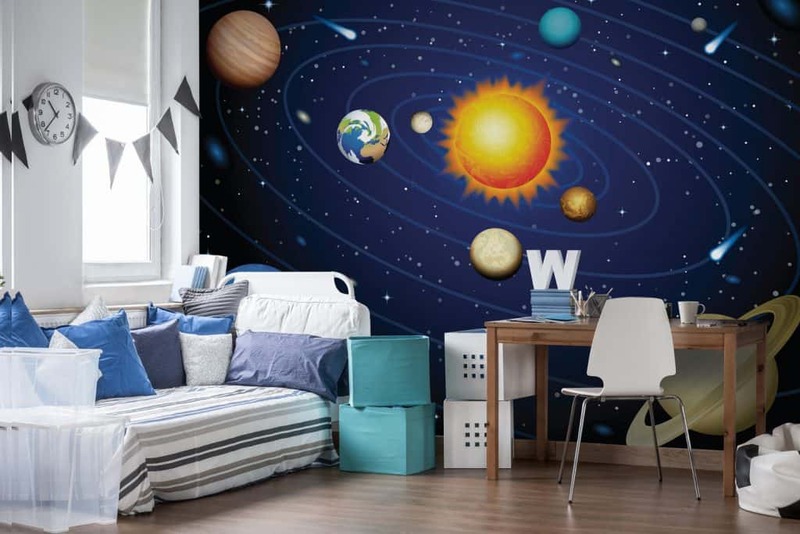 This wall mural is a great way of teaching children about the mysteries of outer space, the solar system, space discovery as well as the science and technology that plays a part in it all. Not only are children fascinated about the countries of the world, they are also super curious about what comes from each country. This Crazy World map is a great way of teaching them which animals and landmarks can be found in which countries which makes it a wonderful learning resource too. 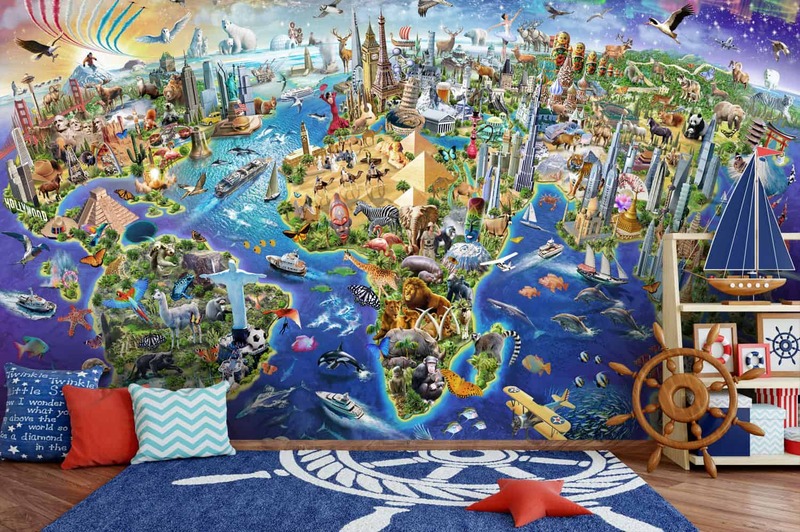 Not only are these children’s wall murals a fun and creative way of transforming a children’s room, but they are also a great way of inspiring learning and curiosity about the amazing world they live in. 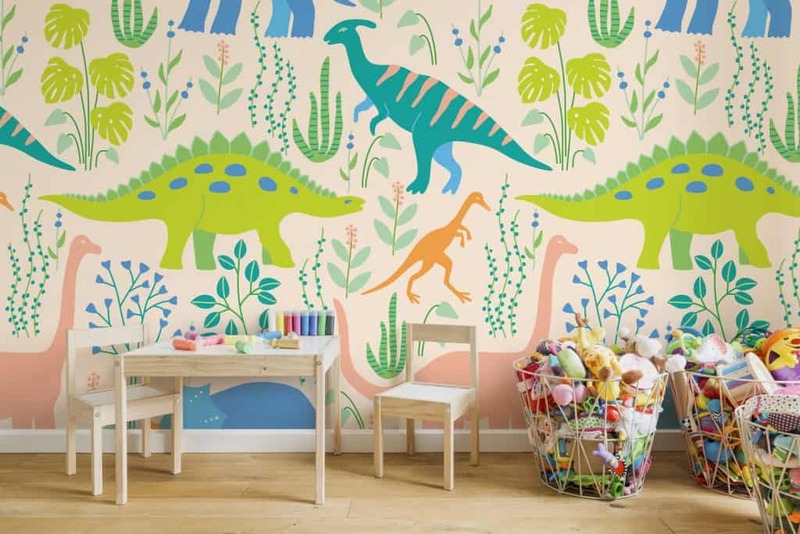 Which of the above children’s wall murals could you see in your child’s bedroom? Do leave a comment and share. And if you enjoyed this post why not check out these fun decor ideas for your children’s bedroom. Next Welcome to…..the last #COOLMUCLUB for the summer!